But this is not the subject of our discussion today. We will only talk about the samā‘ī within Arabic music. Four khānāt to the 10-pulse samā‘ī thaqīl rhythmic cycle. Each khāna ends with a taslīm (a fixed melody in all of the khānāt, linked to each one of them to a certain limit depending on the maqām). The taslīm relays to the lāzima (a melody defining the samā‘ī maqām, that is repeated after each khāna, but is separated from it). The lāzima ends with the last part of the above-explained taslīm. Let us listen to an example of this type: a samā‘ī thaqīl bayyātī and one of the famous works in the 19th century and beginning of the 20th whose composer is unknown. The first khāna in this samā‘ī is one measure only of the samā‘ī thaqīl to the jahārkāh maqām. The taslīm is two measures relaying to the bayyātī maqām that is of course the maqām of the lāzima. The second khāna is two measures to the rāst maqām, and the third khāna is also two measures to the ḥijāz. The fourth khāna is also two measures but this time to the ṣabā. Let us listen to this work performed by takht Sāmī Afandī al-Shawwā (kamān), ‘Abd al-Ḥamīd Afandī al-Quḍḍābī (qānūn), and Ibrāhīm Afandī al-Qabbānī (‘ūd). 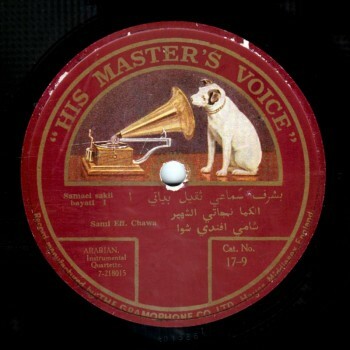 The recording was made around 1920 by Gramophone on one side of a 25cm record, order # 7-218015, matrix # BD 1586. Three khānāt and a lāzima to the samā‘ī thaqīl, and a fourth khāna to another rhythmic cycle –most probably a 3-pulse rhythmic cycle such as the yurk, or the sinkīn samā‘ī, or the samā‘ī ṭā’ir or dārij. The first khāna, the lāzima, and the fourth khāna are to the same samā‘ī. The maqām can be changed partly or in full in both the second and the third khānāt. A taslīm can be placed between all the khānāt and the lāzima, or between some of the khānāt but not all and the lāzima, or be dropped completely. Usually, the lāzima repeated between the khānāt is either equal to them as to the rhythmic measures or shorter, but can never exceed them. 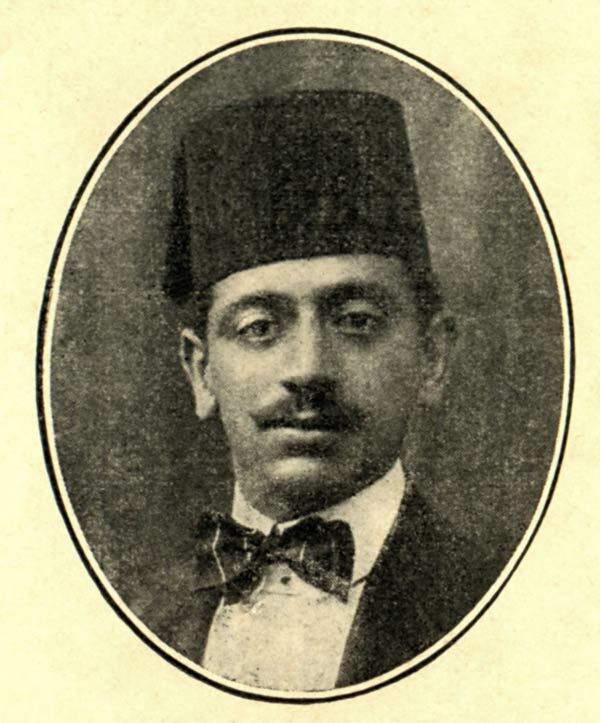 Let us listen to an example of this type: a samā‘ī to the muḥayyar –a bayyātī sub-maqām– composed by Jamīl Bēh al-Ṭanburī –one of the most famous ottoman court music professionals of the late 1800s and early 1900s. Note that the taslīm between the khānāt and the lāzima is completely dropped, and that there are no melodic shiftings except in the second khāna to the kārjahār –a bayyātī sub-maqām. Also note the change in the rhythm in the fourth khāna to the 6-pulse sinkīn. Let us listen to this samā‘ī performed by the Egyptian Official Radio’s Oriental Music Band including ‘Abd al-Fattāḥ Ṣabrī (‘ūd), Muḥammad ‘Abduh Ṣāliḥ (qānūn), Labīb Ḥasan (kamān), and Ibrāhīm ‘Afīfī (percussions). 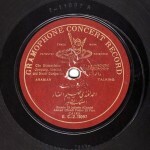 It is played as an introduction to a waṣla to the muḥayyar sang by Ṣāliḥ ‘Abd al-Ḥayy. Note that the samā‘ī form is short compared to the bashraf form. That is the reason why many repetitions are sometimes played by some bands in live performances, such as in the example we listened to. Many Arab music professionals followed the pattern of the ottoman court’s music as to composing this work, including Ṣafar Bēh ‘Alī and Ibrāhīm al-‘Aryān. We will now listen to a samā‘ī jahārkāh composed by Ṣafar Bēh ‘Alī, performed by Muṣṭafa Bēk Riḍā (qānūn), Ṣafar Bēh ‘Alī (‘ūd), and Muṣṭafa Bēh Mumtāz (kamān). The recording was made around 1928 by His Master’s Voice –daughter company of Gramophone– on one side of a 25cm record, order # 7-19750, matrix # BF 2601. 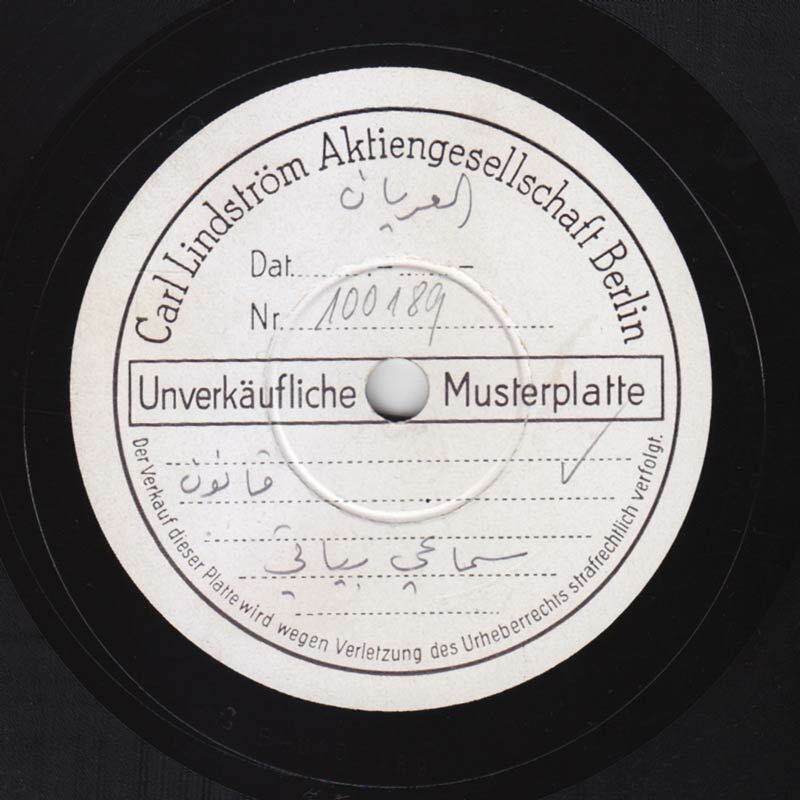 One of the mid-1900s most widespread samā‘īyyat was played like a Qawmī hymn of the Arabic Music Academies: a samā‘ī bayyātī written by Ibrāhīm al-‘Aryān. 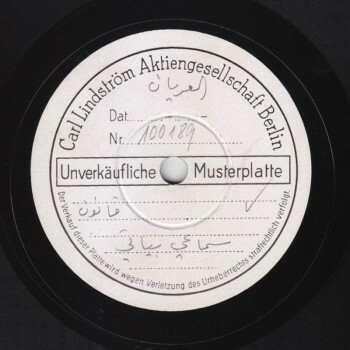 Let us listen to it performed by Ibrahim al-‘Aryan himself, recorded around 1938 by Baidaphon on one side of a 25cm record, # B-0100189. We will end today’s episode with the samā‘ī dārij type that appeared during the 17th century. It is not the final form adopted by the samā‘ī as mentioned above, yet it was widespread in Arabic Music. The most famous examples are a samā‘ī dārij to the bayyātī and another one to the ḥijāz, both by an unknown composer as stated by Arabic references. Yet, the book by ‘Alī Afqī Bēh includes a manuscript of a samā‘ī dārij to the ḥijāz attributed to madanī Muṣṭafa ‘Iṭrī (“madanī” refers here to the fact that he came from Mecca) –one of the most famous Arab music professionals at the Ottoman court during the 17th century. Let us listen to this samā‘ī dārij composed by ‘Iṭrī. (This 3-pulse rhythm was the most widespread, thus its appellation dārij (current – dominant)). 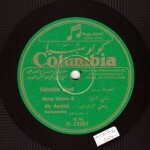 It is performed by Sāmī Afandī al-Shawwā (kamān), Zakī Afandī (qānūn), Petro Afandī (‘ūd), and Sheikh ‘Alī Darwīsh (nāy), and was recorded in Beirut around 1924 by Baidaphon on one side of a 27cm record, # B-084497. We have reached the end of today’s episode of “Niẓāmunā al-Mūsīqī”.